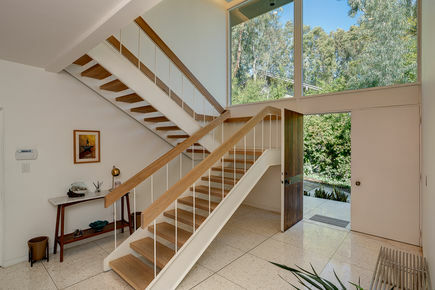 Iconic mid-century modern design circa 1963 by noted architect James Pulliam. 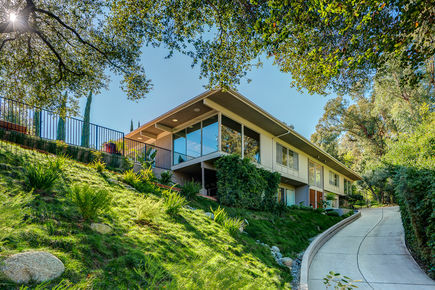 Located in the Linda Vista hills near the Rose Bowl, this 2-story 4BR/4BA is a modernist tour-de-force with its desirable "glass box" design. 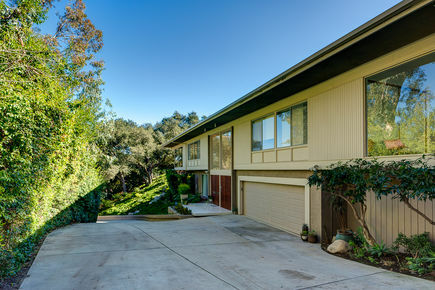 Set up from the street with incredible mountain views and maximum privacy, enter into a dramatic 2-story foyer with floating staircase. 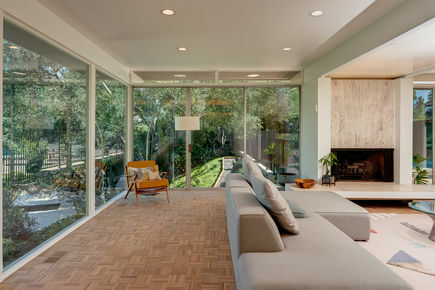 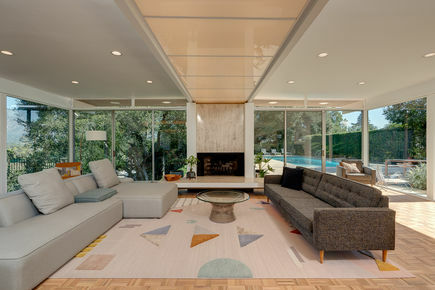 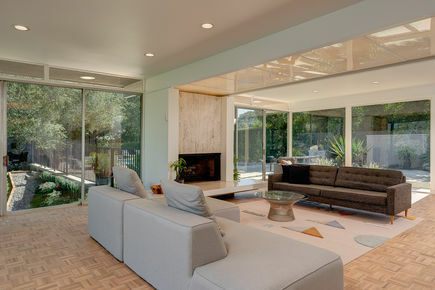 Hallmarks of mid-century design are found throughout including terrazzo floors, walls of glass, custom built-ins and high ceilings. 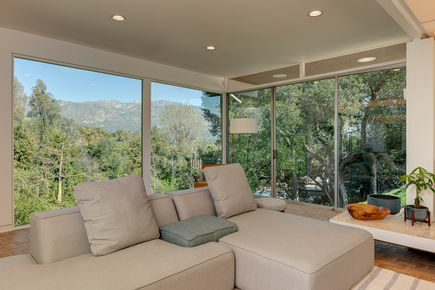 Recent updates include a remodeled kitchen, new floors, updated bathrooms and much more. 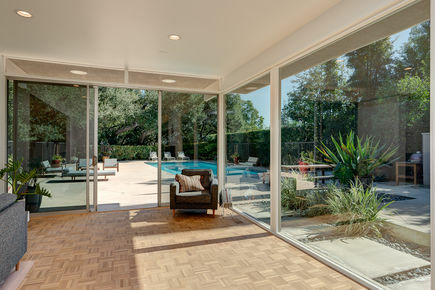 The open-concept layout brings the outdoors inside at every turn and the indoor/outdoor flow is ideal from nearly every room with easy access to the outside which includes a giant pool, patio, outdoor kitchen and yard. 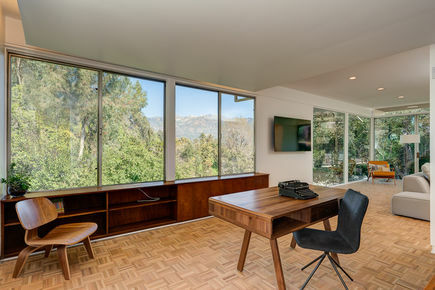 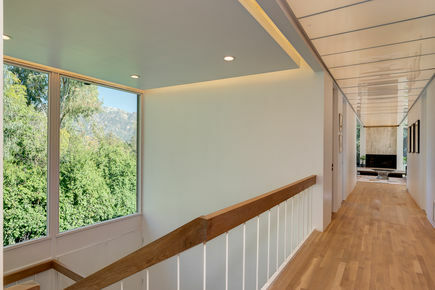 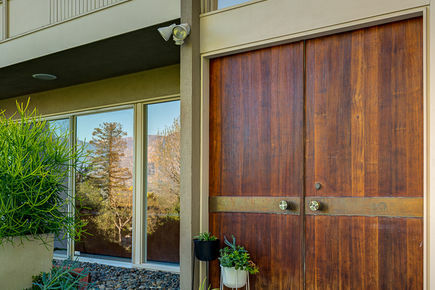 A detached 90sf studio above the property overlooks the hills. 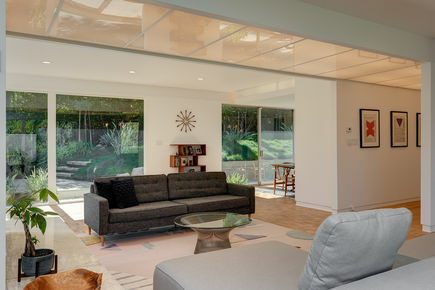 Coveted location at the end of a quiet cul-de-sac, this is Pasadena modern living at its absolute finest.